Presto Restoration Products & Services provides commercial building restoration, building maintenance & building cleaning services in Toledo, Ohio, and surrounding areas. 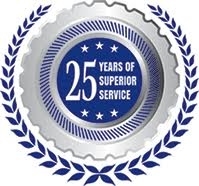 We pride ourselves on providing the highest quality workmanship in a safe and professional manner. In order to provide the best services possible, we utilize the newest and most innovative building restoration, maintenance and cleaning products, tools and cleaning technologies. Based out of Toledo, Ohio, Presto Restoration Products & Services is known throughout our industry for our utmost professionalism in providing building restoration, maintenance and cleaning services. Over the years, we have serviced some of the finest commercial properties in Toledo, Ohio and surrounding territories.